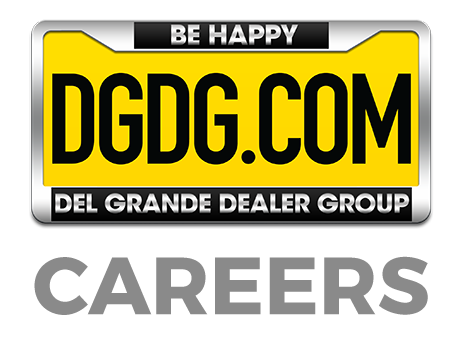 At DGDG, our focus is 100% customer satisfaction to 100% of our customers, 100% of the time. Our tech-savvy Product Specialists focus on product knowledge and creating an enjoyable car buying experience. As a leader in automotive retailing, we think differently and we hire differently. There is nothing “typical car dealer” about us. In fact, some members of our team never sold a car before coming to DGDG. With our unique and progressive sales training programs and our commitment to your success, the sky is the limit for your career. As an Online Product Specialist, you will introduce the customer to our hassle – free no brainer pricing. Our no brainer pricing allows you to focus on the needs of the customer and not the pricing. 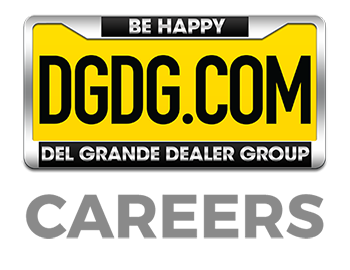 We do this so every guest that visits a DGDG location can fully experiences our Project 100% service. Project 100% is our Commitment to Provide 100% Customer Satisfaction to 100% our Customers 100% of the Time! As an Online Product Director, you will introduce the customer to our hassle – free no brainer pricing. Our no brainer pricing allows you to focus on the needs of the customer and not the pricing. We do this so every guest that visits a DGDG location can fully experiences our Project 100% service. Project 100% is our Commitment to Provide 100% Customer Satisfaction to 100% our Customers 100% of the Time! As a Finance Manager you will be greeting customers to quickly and effectively transition from Sales to Finance during their vehicle purchase process, to determine customer financing needs based on a consultative interview process. As a Sales Manager, you will be responsible for ensuring that the dealership meets its unit sales quotas and its gross objectives on a daily, weekly, monthly, and yearly basis. He/she will ensure that the retail and online sold produce sufficient gross to aid the dealership in reaching it profit and units objective on a monthly and yearly basis. He/she will accomplish these objective through planning, organizing, coordinating, and measuring the activities of New and Used Vehicles Sales Departments. As a Finance Director you will be greeting Customers to quickly and effectively transition from Sales to Finance during their vehicle purchase process. Also determining customer financing needs based on a consultative interview process, and presenting a transparent menu to Customers detailing their financing options and products to enhance their vehicle ownership experience. As a Sales Manager, you will be responsible for ensuring that 100% of our customers receive 100% customer satisfaction 100% of the time. – Champion this effort by ensuring that we recruit top talent, that they receive the best training in the industry and are treated like our customers – Ensure that the company culture is consistently role modeled by the managers and employees at the dealership – Coach and mentor key managers and employees to achieve peak performance and their career goals – Set, monitor and drive the achievement of performance targets – Grow the dealership’s sales volume and profits – Ensure 100% compliance – Work directly with our most sensitive customer complaints to ensure 100% customer satisfaction. This leadership position is responsible for ensuring the profitability of the dealership by managing variable operations (sales & financing), fixed operations (service & parts), and business office functions (accounting & administration). The General Manager will accomplish objectives by setting and executing on goals, mentoring team members, and driving a world-class retail operation.